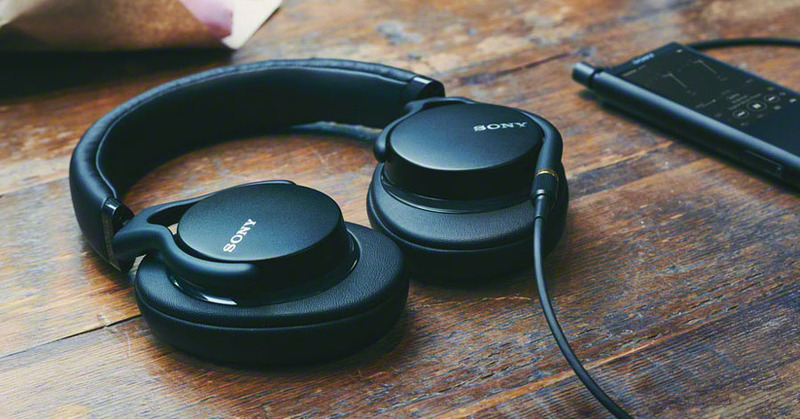 Sony is preparing to launch a new headphone model that was first showcased at CES 2018. The new MDR-1AM2 is an updated version of the successful, wired MDR-1A model and focuses on the basics; delivering high-resolution audio on the go without lavish extras. The headphone comes with a newly invented 40mm audio driver that contains an aluminum-coated liquid polymer diaphragm and offers a broad frequency response for full-range sound, spanning 3Hz to 100kHz. Alongside a cable with the regular jack, you'll find a 4.4mm audio connector for dedicated music players and amplifiers. Compared to its forerunner, the MDR-1AM2 is lighter and claims to be more comfortable. Each headphone features swivel ear cups covered by synthetic leather, smartphone compatibility, in-line remote microphone, responsive liquid crystal polymer drivers and a heavyweight base with Beat Response Control technology. Likewise, the MDR-1AM2 headphones could be an excellent option for gamers or anyone playing real-time music. They are expected to arrive in spring and be sold for $299.99. Can't wait until spring? Take a look at our Sony Collection here.